Men can either be our source of infinite happiness or the reason for our tears. We women usually put our hopes in every good relationship we have, with good reason. After all, we’re on the search for a life-long partner. But in our search, we might be blind to some sure signs that our partner is looking to break your heart. These are nine signs that a man is not committed, and if you see them in your partner, he might break your heart soon. This is a small but significant detail. When your man introduces you to new people, he should state what you are to him, whether that’s “my wife,” “my girlfriend,” or even just “my girl.” But if he introduces you by just your name and nothing else, chances are he’s leaning more towards single life than a committed relationship. He might make up excuses to avoid meeting or seeing your family, or he might flat out tell you he doesn’t want to see them. Either way, the fact that he avoids your family is a sure sign that he doesn’t intend to always have them (or you) in his life. He might go along with everything you propose, but when was the last time he took the initiative? Unfortunately, this shows that although he has a good time with you, you are not one of his priorities. If he doesn’t put in the effort to ever take initiative to build your relationship or make plans with you, then he doesn’t think the relationship is worth it. Men might not have the best reputations for professing their emotions, but he should still talk about how he feels about you. If he’s not clear on where he stands when it comes to his feelings for you, don’t make excuses for him. A relationship that’ll never end should be full of “I love you” and phrases like “ou make me smile”; a relationship that’s headed downhill will lack expressions of endearment. This is a huge red flag. The truth is that where there was fire, ashes remain. Don’t believe the tall tale that he is just good friends with his exes: it’s pure fiction. A man who is truly into you won’t feel the need to stay in touch with old flames. A man who isn’t looking to stick around will only act like a man in love when he wants to. When you catch onto his lies, he’ll work to gain your trust back. As soon as he does, he returns to being the same distant man he has always been. True love should be obvious, not confusing. He might panic if he misplaces it or he might accuse you of looking through his phone when you actually didn’t even touch it. Pay attention to how he reacts; his insecurities about his phone may mean that he’s hiding something that will break your heart. He avoids any conversation about his true feelings for you, how he pictures your future together and how to improve your relationship. If you can’t have a meaningful conversation, it’s time to break up. He might actually be the crazy one if he uses this excuse. This is a common tactic to avoid addressing a problem head-on. Blaming you “and your craziness” for all his problems is a sure sign of untrue love. 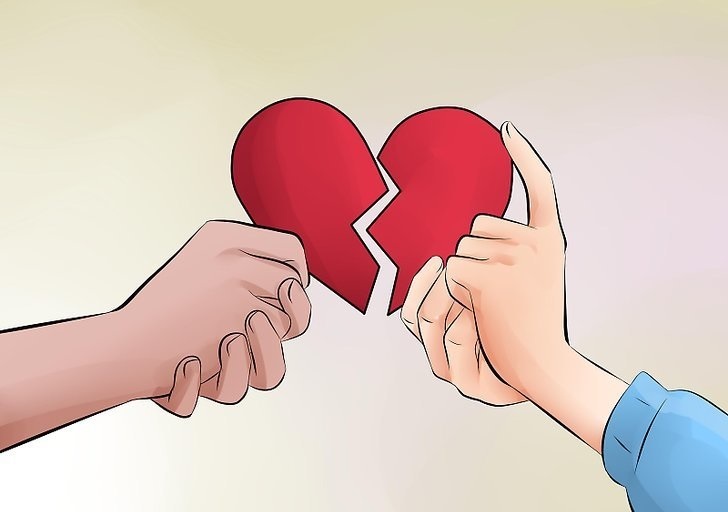 If your mister shows one or more of these signs, it’s time to end the relationship before he has the chance to break your heart. Instead, look for a man who will work to make you smile, not cause you to cry.